Various dubious characters inhabit the world of ‘Swords and Spindles’ on a regular, or more occasional, basis. Meet them if you dare. Mistress Agnes can tell you how to make the most of your assets with a bum roll, how to roast a cow’s udder and what to use for deodorant. 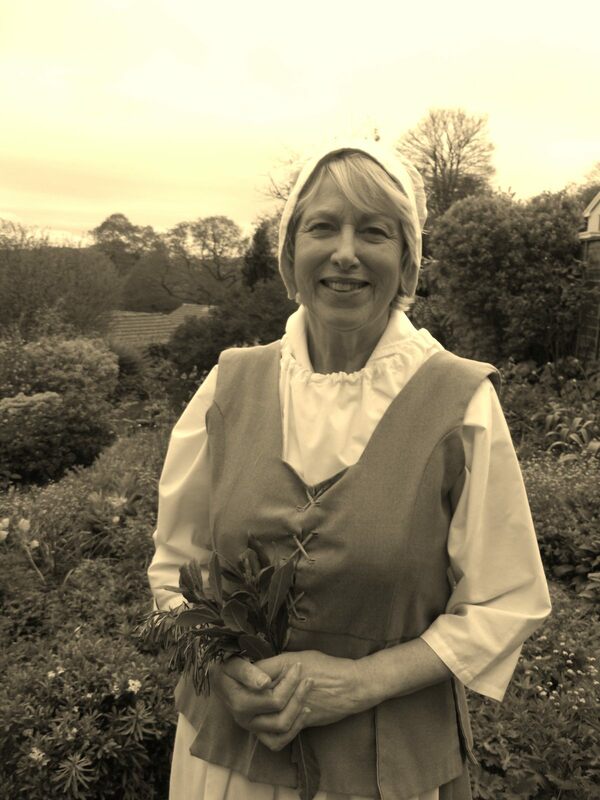 She specialises in presentations about Tudor and Stuart lifestyle: costume, food, housework, toys and herbal cures. She walks the streets of London at the time of Plague and Fire and attempts to avoid detection by the witchfinder. In another life, Mistress Agnes is an academic historian and former teacher of history at both school and university level. 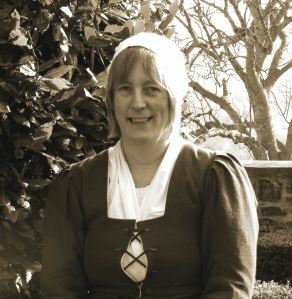 She focuses on social and community history and is the author of several books including Coffers, Clysters, Comfrey and Coifs: the lives of our seventeenth century ancestors. She has acted as an advisor to historical novelists and has been involved in several television productions. Master Christopher is the barber surgeon to the desperate. Headache, broken bones and toothache all get Master Christopher’s unique, authentic treatment. Master Christopher also talks of the weaponry of the English Civil War and though Royalist by inclination, will fight for whichever is the winning side. 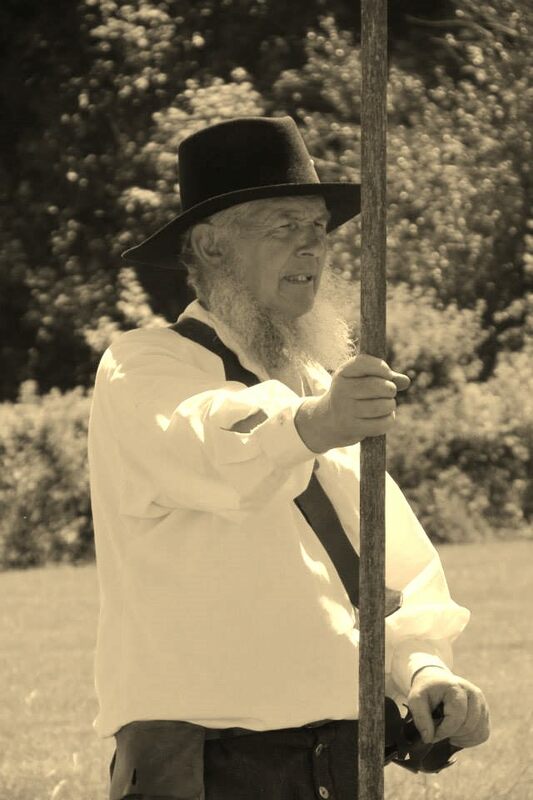 Master Christopher is an experienced historical interpreter who, in a previous professional life, was responsible for staff training. He has appeared on television several times. Sir Francis is a casualty of the Battle of Naseby and great friend of Samuel Pepys. Watching Sir Francis attempt to extinguish the Great Fire of London is not to be missed. Take care though, he also seeks out the witches amongst us and demonstrates the punishments of the past. Sir Francis has many years’ experience as an historical interpreter and his theatrical style owes much to his background in drama. Mistress Mary, who abides in Great Torrington, is rightly proud of her wonderous garden. The chickens and honey bees thrive amongst the vegetables which provide for her large family. The various herbs that she grows adds a surprise at meal times and somewhat enhance the flavour of the food. She also makes infusions, decoctions and tinctures with the herbs as remedies for chesty coughs, colds and more serious plagues and fevers that spread amongst the town due to the bad smells. For a few pennies you may purchase these herbs and partake of some of her knowledge but she would prefer you didn’t tell the Doctor or the Apothecary. Mistress Abigail has followed the army down from London. Somewhere along the way she persuaded one of the king’s men to marry her but truth be told, she hasn’t seen him lately and is now on the look out for a replacement. Amongst other things, Mistress Abigail has experience as a youth worker and has also worked in a Forest School setting. 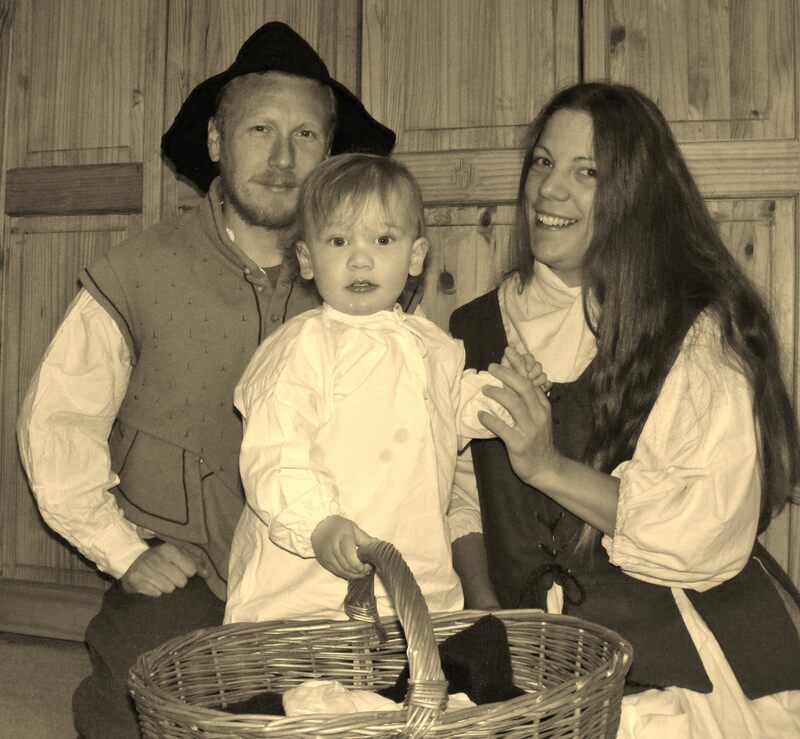 Master Robert, Mistress Martha and young Master Edward are occasional travellers in Swords and Spindles’ times. As a wool merchant, Master Robert is familiar with the drovers’ roads from Lincolnshire to Devon. He is a little worried by the decline in the English wool trade in recent times and the competition from Flanders has played havoc with his profits. As all good housewives, Mistress Martha spins and weaves, she also produces garments for sale and looks after Master Edward. When not time travelling, Master Robert is a teacher and Mistress Martha is a qualified child-carer. Master Edward is an experienced eater, player and occasional sleeper.